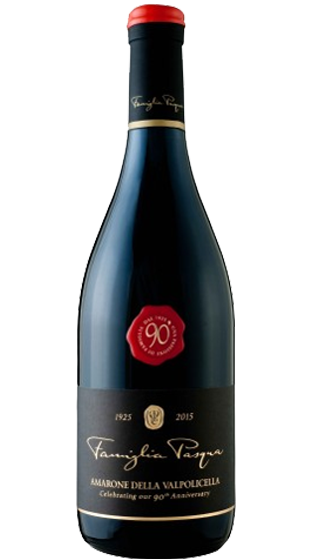 Tasting Note: This is a rich and powerful Amarone, on the nose reveals notes of cherries, forest fruits, hints of dark chocolate and cedar. In the mouth it is intense and full bodied, with great concentration of fruit and spice. Its barely imperceptible sweetness gives way to a note of dark cherry and blackberry, typical of the Amarone. Fresh and balanced it has a polished texture thanks to velvety tannins that support the juicy, dense and rich palate.